Update – February 15, 2019: New promo image and video show Thunder Black and Aurora Green colors as well as pop-up front camera. Pre-booking is said to have begun through offline stores, as you can see from the image below. 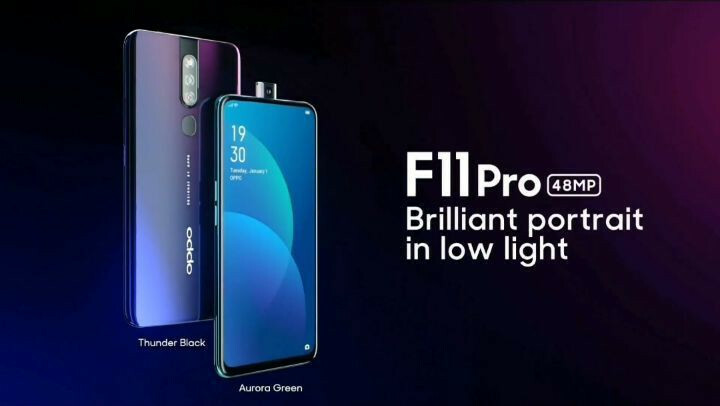 OPPO has started teasing F11 Pro, the company’s upcoming mid-range smartphone globally, and in India. The smartphone will feature a 48-megapixel primary rear camera along with a secondary rear camera. 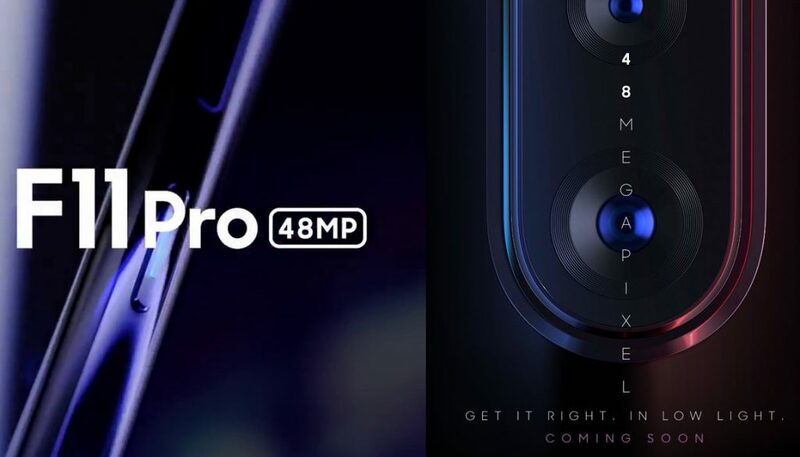 It is already known that Vivo is gearing up to launch the V15 Pro smartphone with triple rear cameras, including a pop-up. The video teaser on OPPO global social channels show us a glimpse of the design. While the teaser posted by OPPO India shows the 48-megapixel camera sensor and promises better low-light images. Another image confirms a no-notch design, so it will come with a pop-up front camera, similar to the Vivo V15 Pro. We should know more details about the smartphone in coming weeks ahead of launch sometime later this month or early next month.